Dr. Roger Saenz, our resident orthodontist, can help children and adults gain a straight, comfortable smile with modern orthodontics. 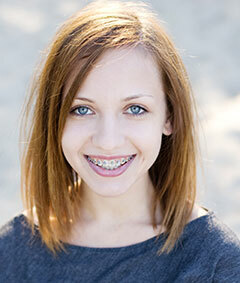 If you or your children need orthodontic therapy, call our Miami dental office for an appointment with Dr. Saenz. He will examine your bite, then recommend the best course of treatment for your unique situation. For your convenience, we offer orthodontic treatment in our Miami office so that you and your loved ones won't have to go elsewhere. We also offer Invisalign clear braces for adult patients who want a straighter smile but don't want to wear bulky metal braces. Ask the orthodontist about Invisalign at your next visit, or call for more information. If you need a comprehensive orthodontist who will give you a reason to show off your smile, call the Miami dental office of Juan Anillo, DMD, Manny Anillo, DMD, and Maria Abril-Barsky, DMD. Our practice serves patients from the greater Miami area, including those from West Kendall.